These attractive athletics medals are cheap to buy but have a quality look and feel. 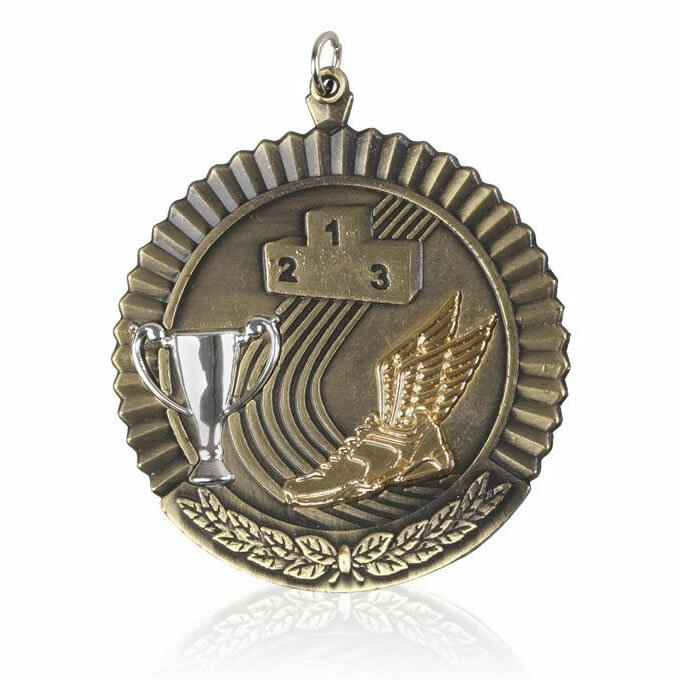 Made in metal and including a ribbon loop (medal ribbons available separately), they have an antique gold finish and feature an athletics scene on the front. 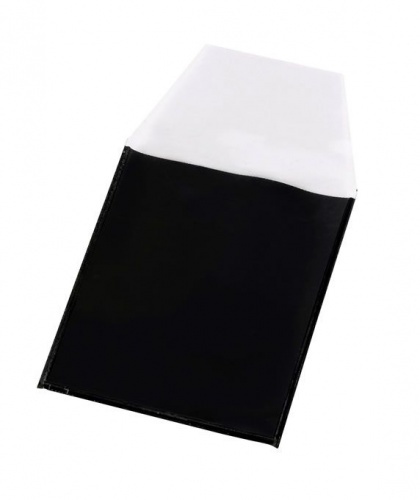 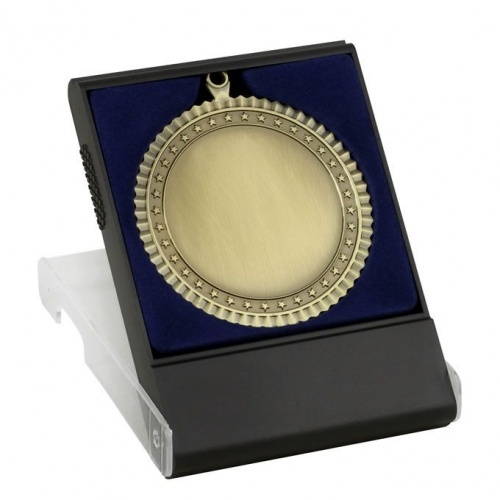 The reverse is blank for engraving and optional medal sleeves or medal cases are available.